T﻿he harmonica is a small rectangular harp classified as wind musical instruments. It belongs to the same family as the accordions. The history of the harmonica can be traced back to the ancient Chinese period. It was used mainly to produce soft folk music which has a wonderful listening appeal. The harmonica has become quite popular in the modern world of music. It can be found among the instruments used by orchestras and musicals. There are many types of harmonicas; the attraction to these musical instruments has not gone unnoticed. Online, you can find so many courses, and lessons offered by experienced harmonica players to help new, intermediary and experienced players improve their skills. There are many harmonica brands on the market, but they function the same way. Learning how to play the harmonica online has made it possible for many people to achieve their dreams. This is because of the convenience of the online lessons offer. The following reviews cover some of the best online sources to l﻿﻿earn how the﻿﻿ harmonica is played. This is an interactive website which offers a versatile way to learn how the harmonica is played. The online lessons include video exchanges between the students and the instructor. 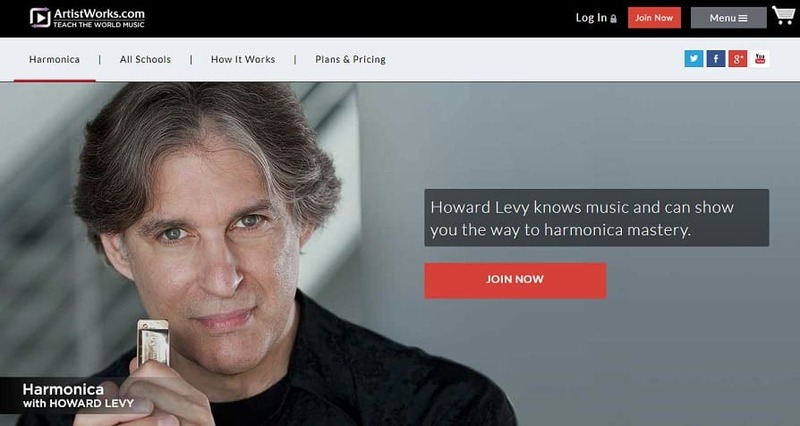 The lessons offered on this site have been prepared by Howard Levy who is a professional harmonica player. After signing up as a member, students have access to a vast library prepared by Levy. This online library contains pre-made video lessons, audio, and PDF learning materials. Guided by the instructions in these materials, students can practice and upload their videos for a review by Levy. Corrections will be made and then more practice. The website is open to student from all over the world. On artistworks, Levy offers theoretical and practical knowledge. For private lessons, students have a direct interaction with the instructor to receive the guidance they need to become better harmonica players. The videos uploaded by other students are also available to the community who can watch and learn. On artistworks, the courses are divided into three options for all students. You can either register for the three-month, six-month or one-year online course. Over 100 online lessons cover the main music genres such as folk, jazz, virtuoso harmonica, Indian, and many others. Udemy offers a vast online academy for everyone who wants to become expert harmonica players. On the site, you have access to over 50 lessons to choose from. The lectures feature mainly online video lessons and audio recordings. These lessons are packaged as a bundled group of lectures which is indicated on the instructors’ profile. The instructors describe the offers and state benefits you will get at the end of the lessons. 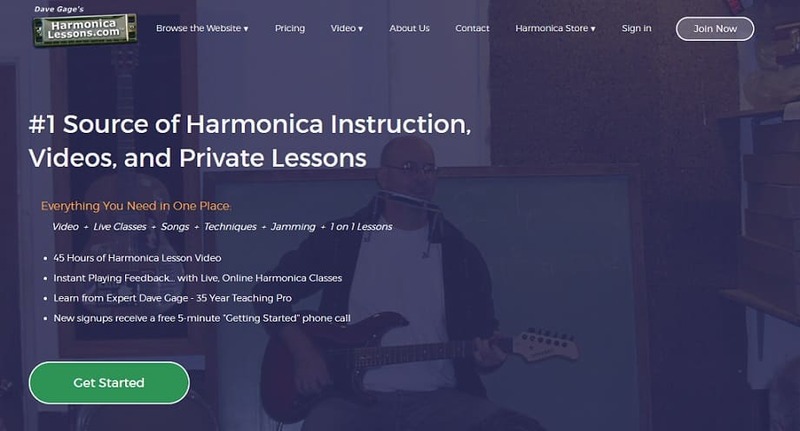 On the site, you will find harmonica lessons that teach students as beginners until they reach the intermediate and expert levels. The diverse courses also make it easier for students to expand their proficiencies. For example, you can find a course offering to teach you how to read the notes, another module offering lessons on how to play songs, and to play the harmonica in a group. 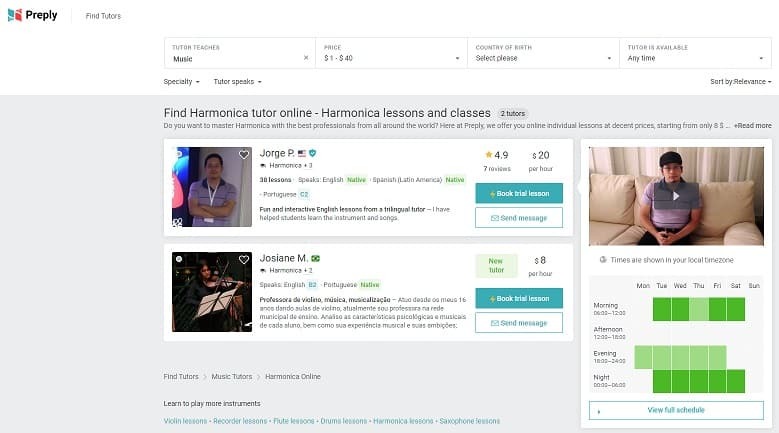 Udemy offers harmonica lessons that specify the students who can buy the course. You can find instructors who state their lessons are developed for only beginners. While others indicate that everyone regardless of experience can participate and gain from the online lectures. Each instructor is rated at the end of the course to make it easier for new students to select and buy the best course. The online lessons on this site offer professional guidance, online videos, tips, and hints about playing the harmonica. The lessons have been developed for beginners who have no prior experience with the musical instrument. Others who may have lost their skills over the years are also welcome to renew their skills. This website is loaded. Each lesson is carefully labeled to guide students’ progress. The online program includes 45 hours of lessons created as video files, twelve live classes every month, and a quick lesson for beginners to help them understand what they will be learning in the following weeks. The online learning program on this site is designed to help every student play the harmonica for at least fifteen minutes every day. In a few months, students will start playing their favorite rock, classical, or blues songs. The lessons cover core areas such as learning the notes, how to hold the harmonica, breathing, practicing blow bends, theory, and terminology, and simple tips to play the harmonica faster. Dave Gage has taught students how to play the harmonica online for over thirty-five years. His interactive approach helps new and intermediate students improve their skills in playing the harmonica. 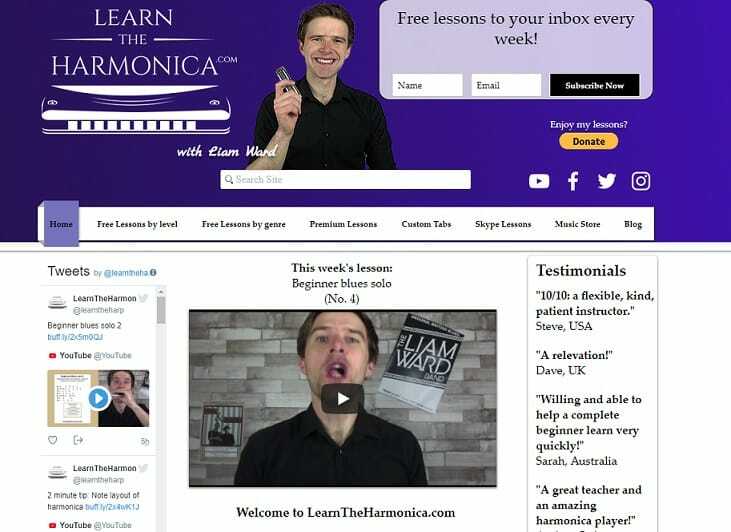 On this website, Liam Ward offers free and paid harmonica lessons. Free lessons can be viewed on Liam’s YouTube channel which is linked on the website. Students also have the opportunity of learning how the harmonica is played via Skype. The direct Skype lessons teach students the basics of playing the harmonica. 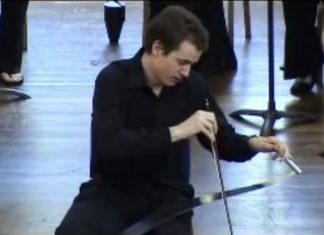 Liam demonstrates the practical lessons which are copied during the live practice sessions. The interactive approach to learning the harmonica basics helps the student improve their skills within a very short time. Liam also sends out hundreds of free lessons via email. These materials are accessible after signing up on the sites email list. The lessons have been classified into packages aimed at the different learning levels of students. You can find the beginner, intermediate and expert levels. This structure guides students when searching for the right modules most suitable to meet their needs. The versatile learning modules help students to follow up with the lessons even with busy schedules. Liam, the instructor, is always ready to provide feedback to help students improve their skills. It is easy to use this website. The host Tony Eyers is in charge of the online harmonica lessons which have benefited over many students. He has promoted the growth of a massive community of enthusiasts who enjoy playing the harmonica. On the site, students have access to a well-organized program. This program aims to equip students with the basic harmonica playing skills and opportunities to practice. In three months, following Tony’s program, students can advance from amateurs to intermediate harmonica instrumentalists. However, the course program is divided into thirty minutes of daily play to cover this period of learning. The site features an extensive harmonica library which includes the terminology and theoretical information about using the musical instrument. The free lessons are provided as a guide to help beginners and others who need to refresh their knowledge. The learning scope also covers practicing with the diatonic harmonica, a wider range of tips and hints, playing the blues and folk music as well as popular classical songs with the harmonica. The video lessons show the basics about holding the harmonica, reading notes, and jamming along with a group of other players. 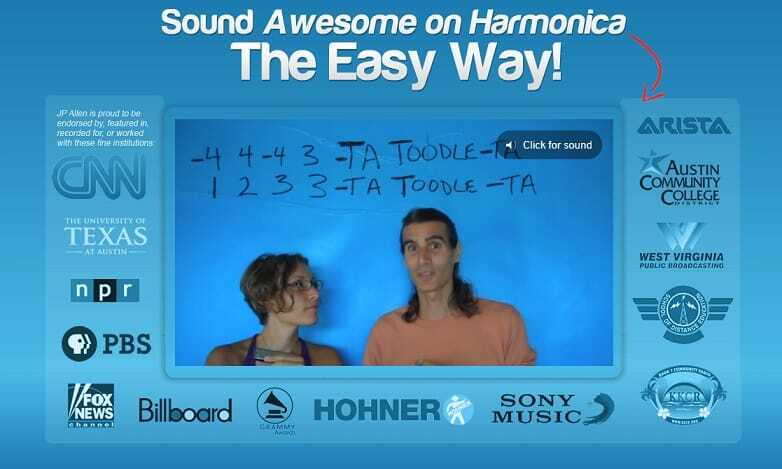 The site also offers a video tour to give first-time viewers an idea of the online harmonica lessons. This website offers a series of simple steps that can guide people who have never played the harmonica before. The steps include easy following a seven-minute jamming session during which the participants jam along with the instructor via a video online. Only three times a week, these seven-minute lessons can help students master how the harmonica is played before proceeding to learn the advanced tips and hints. Learning is fun on this site. Mistakes will be made, but there will hardly be any feelings of frustration because of the friendly approach of the instructor. The instructors’ idea is to make the videos very easy to follow and encourage the participants. The complete course features complete fifteen-hour video lessons that cover the basic areas regarding playing the harmonica. These areas include learning how to bend, learning the chords, practicing breathing patterns, postural guidance, hand techniques and much more. The courses cover five main music genres which can be played with the harmonica. 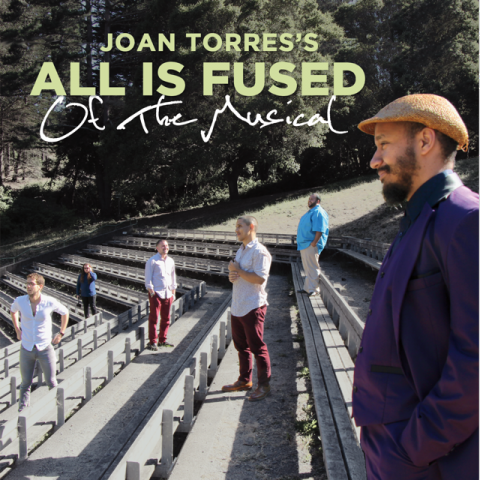 They are folk music, blues, gospel, jazz, and classical music. 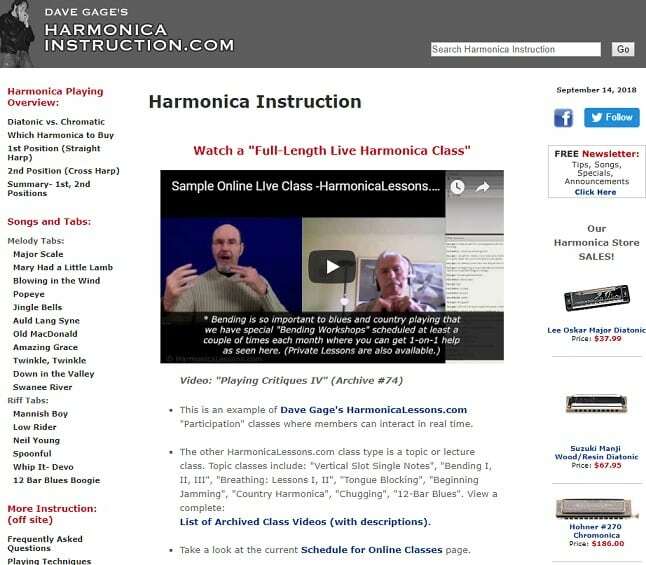 In addition, everyone who signs up for these online harmonica lessons has access to hundreds of online learning materials. JP Allen is the lead instructor on this website. 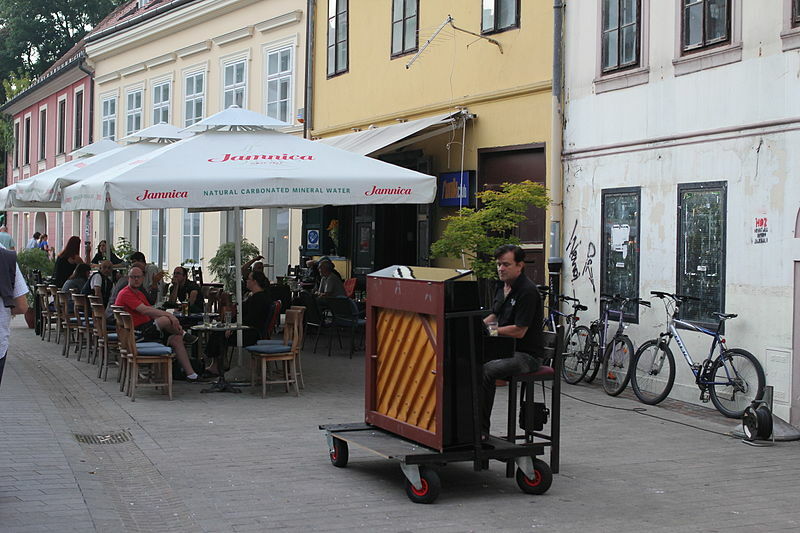 He has over eighteen-year experience as a harmonica player and teacher. His experience as a teacher includes helping students at Universities, and higher educational institutions learn how to play the harmonica. The harmonica tunes website offers free harmonica lessons online for everyone who has the harmonica set in the C key. The first free lessons are organized as a five-part course to introduce beginners to the musical instrument. It includes a five-minute practice lesson during which beginners can have their first experience playing the harmonica. After learning the first harmonica tune, the students will proceed to study the basics of playing the harmonica before practicing. With the knowledge of the first tune, they can easily relate to the further online harmonica lessons. The scope of these online courses cover areas such as learning the harmonica blue scales, practicing the first position harmonica lessons, and hints on how to play the harmonica faster. Students are also encouraged to interact with the growing community where a lot of information about playing the harmonica is shared. The site thrives on a learning program based on practical experience. At the advanced levels, students are advised to try recording their works. This can be done by using apps suggested on the website. The videos are created as high-resolution clips which capture the practical aspects of playing the harmonica. The hints and tips found on the site also offer guidance to jamming with the harmonica, playing different music genres, and tips on the right breathing pattern while playing the harmonica. 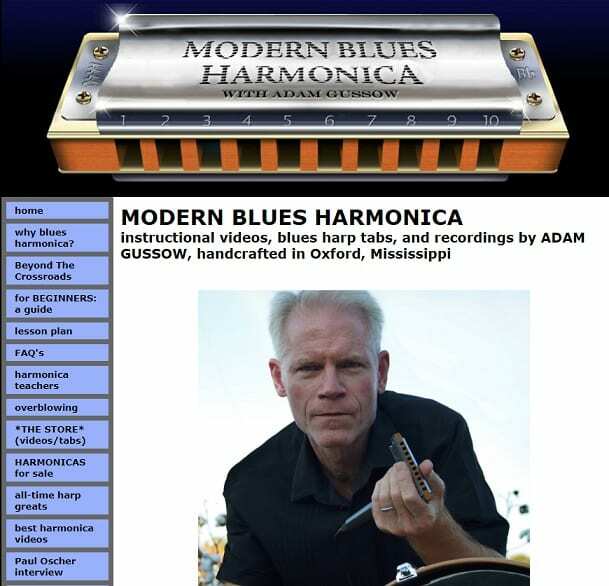 It will be great to learn how to play the harmonica from a genius such as Adam Gussow. He is the owner of this website where hundreds of learning materials about the harmonica can be easily accessed. Adam has included his recordings and exclusive video clips that show the students exactly how the harmonica is played. On this site, the learning modules are designed to help beginners’ who have never played the harmonica before. The learning materials are also for other people who may wish to improve their skills while playing the harmonica. Learning through a simple platform such as this helps students overcome some early challenges they may encounter while playing the harmonica for the first time. The instructional videos introduce the students to the blues harmonica. In addition, the step by step approach helps students and intermediate players increase speed and proficiency while playing the harmonica. On the site, you can also find impressive videos recorded by former students who are now experienced, players. These videos are a source of inspiration to beginners who have no prior experience playing the harmonica. The course outline can be found on the homepage. This is a guide for intending students to know the areas of coverage during the course which is basically targeted at the blues harmonica. Through well-structured videos and tabs, everyone has a chance to become experts playing the harmonica under Adam’s guidance. In over thirty years, David Gage the founder of this website has gathered a vast experience which he is willing to share with everyone. The harmonica learning courses on this site are designed for beginners and others who need to improve their skills. People who may have stopped playing the harmonica for many years are also welcome to refresh their skills. 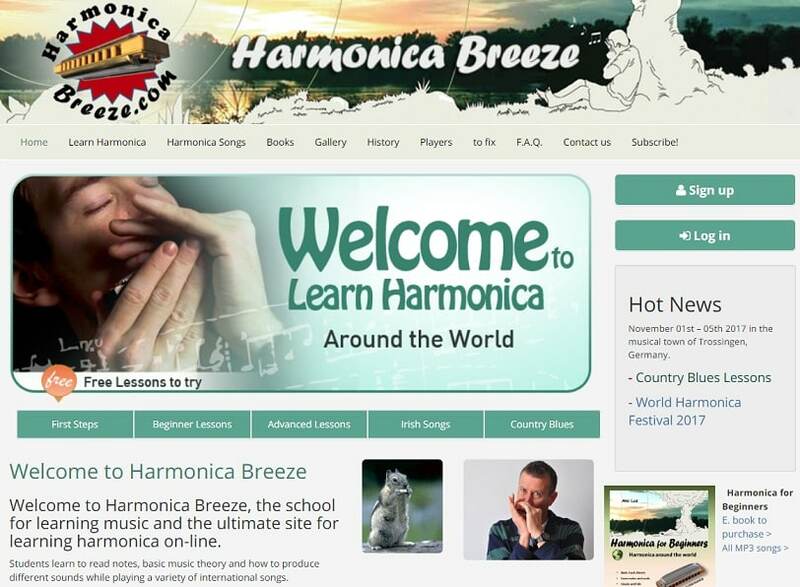 The site features the beginners’ courses which include a basic introduction to playing the harmonica. The intermediate online harmonica lessons also help the students play the instrument faster while mastering their chosen genres. Students can choose to take harmonica lessons in private or with the group sessions. The private lessons are done via Skype live chat. 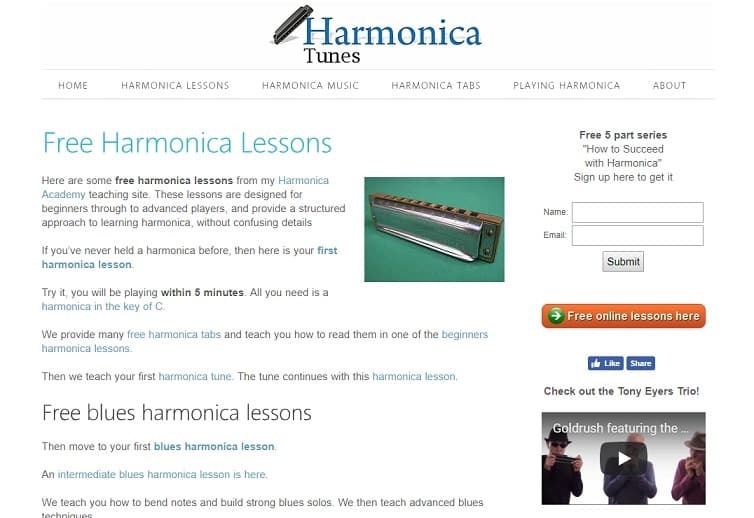 In addition to the 45-hour online harmonica lessons, there are hundreds of free materials to help students practice and improve their skills. These materials include songs, tabs and blues riffs. The main online harmonica lessons which last for 45 hours are divided into smaller lessons to help students follow the topics and practice. In addition, twelve live sessions are scheduled every month. These are opportunities to watch, learn and interact with David Gage. Other benefits of learning how the play the harmonica on this site include learning how to breathe while playing, practicing the tonguing techniques and blue scale. This website is packed with useful content such as online books, instructional videos, songs and tips to improve your ability to play the harmonica. Start with the free lessons. These lessons include videos and quick tips to help you learn simple songs. These lessons offer the first experience with the harmonica. The lessons are fun and interactive. YouTube videos have been uploaded to the site to guide students. These videos feature the instructors demonstrating and guiding the students. There are also fun animated videos that make practicing with the harmonica a fun experience. The website offers multiple learning options that include PDF and audio files to guide the students. The instructors are drawn from diverse backgrounds. This is aimed at creating more opportunities for students to learn different international songs. It is also an advantage for foreigners to learn how the harmonica is played and practice with their own native songs. In addition, students are taught how to read the notes, play with the C key, and practice with the tabs. Feel free to take advantage of the free lessons offered on this site. The free harmonica lessons are provided to help everyone understand the courses and have a first experience. All that is required is a harmonica on the C key for the free practice. The following lessons are scheduled on a monthly basis after the free trial. Students will start at all levels depending on their previous experiences. The beginner harmonica lessons start from the basics. Students are taught how to hold the musical instrument and read the notes. Further lessons will help them understand the tonguing techniques and how the play songs. The membership bundles offer as many as 23 courses depending on the students’ needs. 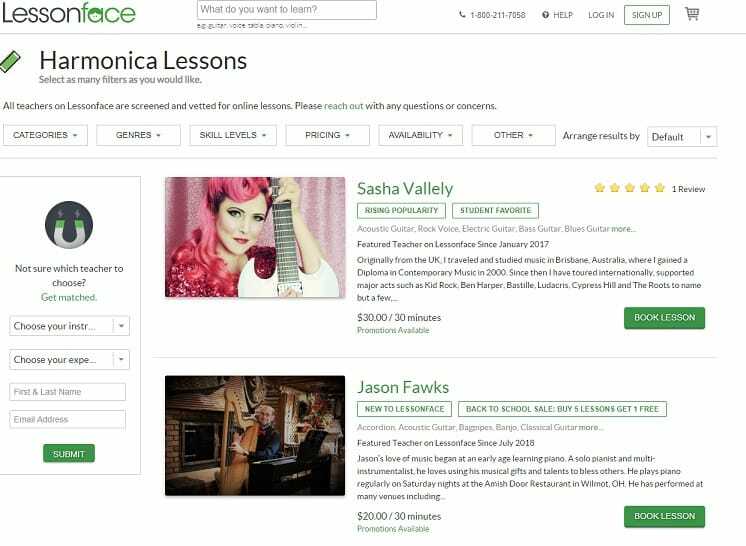 The instructional videos are premade with simple guidelines in the English language to help the users understand what they need to do while practicing with their harmonicas. The course bundles have been classified into three categories. There are the Bronze, Silver and Gold learning modules. These different modules have been scheduled to last for one month. The lectures cover all the information and guidelines needed to become a proficient harmonica player within a month. The lessons are intensely practical oriented. This learning structure helps students understand the aspects they make mistakes and how to avoid these errors while practicing. The instructors also find time to encourage and help the students improve their skills in a friendly way. The design of this website is simple and very easy to navigate. You will find out the courses offered because they are displayed on the landing page. The course descriptions are in clear and precise language to help the students know which course is most suitable to meet their needs. Learning how to play the harmonica on such a website will be quite a smooth process because of the clarity of information. On the landing page, students will find course bundles for beginners and advanced harmonica players who wish to improve their playing skills. There are also courses for advanced harmonica players who wish to learn more about this musical instrument online. The website is run by Tomlin Leckie who is also in charge of creating the online courses. The website has all the features that qualify it to be referred to as an online harmonica school. Tomlin offers an introduction to harmonica and the improvisation course online. His beginners’ module and a foundational course on the blues harmonica are additional offers on the site. The guided video and live lessons offer a step by step approach to help both the young and older adults improve their harmonica playing abilities. 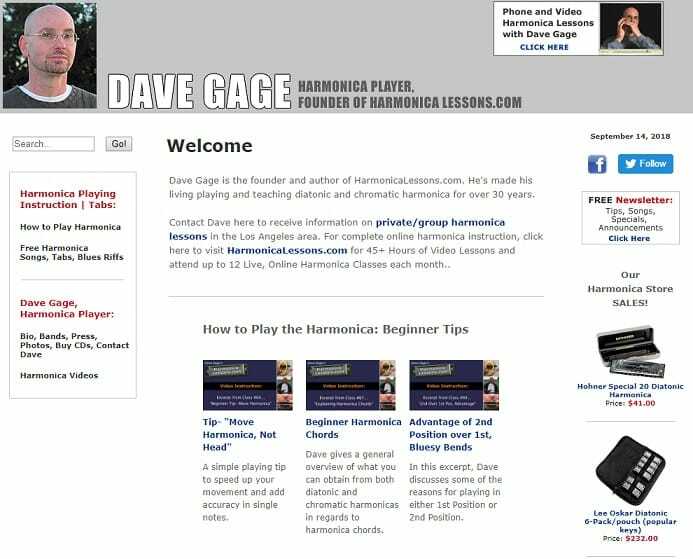 On this website, David Gage, a prolific harmonica player has archived hundreds of instructional videos to guide his students. The learning structure on this site is versatile to help everyone who needs to learn how the harmonica is played achieve their dreams. The top rated online harmonica lessons include instructions about bending and the related techniques. In addition, students are introduced to the diatonic and classical harmonicas. The course outline includes learning the first position harp and second position harp, as well as dozens of simple songs new and more experienced students, can start practicing. As a member on this website, students are provided over 2,500 minutes of carefully structured instructional videos. These videos support the learning modules in the 75 full-length courses on the site. Busy students can also schedule private classes to learn how the harmonica is played. These classes are organized via live streaming apps and highly interactive. There are also hundreds of books available on the site for purchase. 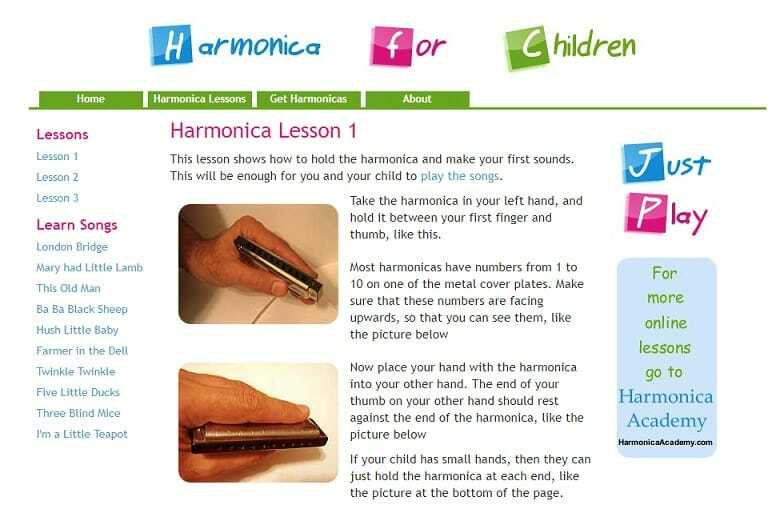 The instructional guide on this website has been structured to help children learn how the harmonica is played. It has been made very simple. All the children need to understand is the instruction to inhale and exhale. The site already features simple instructions that can be explained to the little children by an adult. These instructions cover the basic techniques of holding the harmonica. And tips to help them understand the notes, and holes in which they need to blow air in to produce sounds. Short audio recordings have been added to support the learning process. The lessons have been grouped into three bundles. The children start from the first lesson and progress further. Understanding the terminology is also important. This area has been covered on the site, however; it may take some practice before the children fully understand. Considering that it will be children learning, there are a collection of nice songs that children like. These songs are the first practice lessons with the harmonica. They are all children songs and quite familiar. The online videos also feature children who can be seen practicing with their harmonicas. It is a great place to start if you have children who seem interested in the harmonica. This is quite a popular website. They have a prominent presence on social media and many reviews. The harmonica lessons have been created to help everyone who loves the musical instrument achieve their dreams of playing it like a pro. On the site, students can participate in the two-week course. At the end of this course, they will have learned the basics such as holding and drawing on the harmonica to play the tunes. The site is owned by Alon Cooper, a professional harmonica player. He has developed an easy approach to learning how the harmonica is played. The lectures are in the form of instructional videos. Every day, students can participate in the fifteen-minute lessons online to ensure that they practice playing the harmonica. With this schedule, the two-week target can be successfully achieved. The online harmonica lessons are for people who have never played the musical instrument before and others who need to improve their playing skills. The ultra HD videos make it easier for students to understand and practice the lessons. The practical aspect is interactive, at the master class level; over 23 HD videos are available for students to jam along while playing the harmonica. This is after learning how to read the tabs and notes. The courses cover all the popular music genres such as rock, country, jazz, and blues. This website offers online harmonica lessons via Skype and pre-made instructional videos. The lessons are taught by the resident instructor Ben Hewlett. The online harmonica lessons cover special areas such as learning how to breathe while practicing with the harmonica. Other areas include reading the tabs, how to hold the musical instrument, playing single notes and bending notes. New students are welcomed to the program with a free course from Ben Hewlett which is an introductory module. 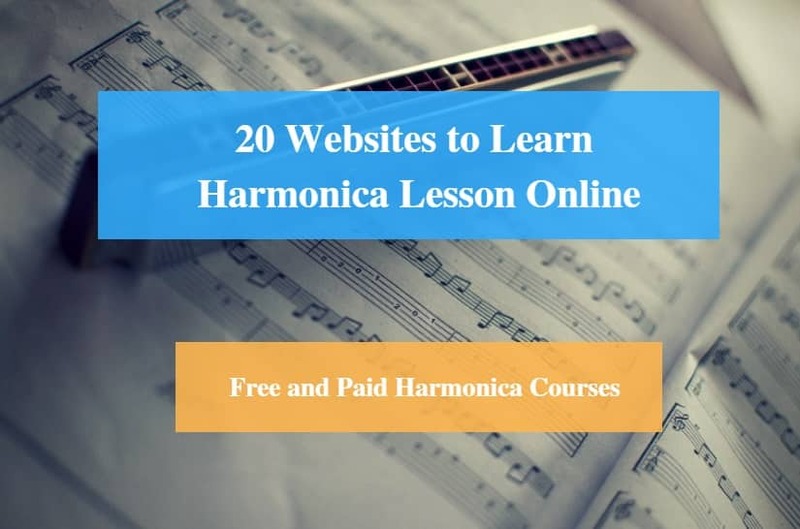 The online lessons are professionally delivered to help the students understand the different aspects and how they can start playing their harmonicas in groups or alone. For a few minutes, every day students get the opportunity to practice and watch the experienced instructors show them how the harmonica is played. The interactive lessons encourage the students to practice using the knowledge from the online lessons. Covering the basics such as learning the notes, and reading tabs, as well as understanding the breathing pattern helps students practice as much as they can independently. The reviews from past students have been encouraging. They claim the lessons have been helpful and it is easier to learn from a professional harmonica player who has had extensive experience with the musical instrument. This website is an online learning academy where over ten instructors have signed up to teach students how to play the harmonica online. The lessons last for about thirty minutes only per session. Each instructors profile has been created to feature the harmonica lessons they offer. The instructors also describe their experiences as harmonica players. You can also find out some details about their educational background and awards (if any) while deciding on the instructor's service to buy. This information helps new and intermediate harmonica players choose a good instructor to help them become better harmonica players. On the website, instructors offer their lessons as instructional videos. They also reveal a wide range of tips and hints that have helped them become professionals. Occasionally some instructors offer promotions especially for students who need extra guidance while learning how to play the harmonica. You can also book a trial session with some instructors to find out if the lessons they are offering is what you need. On this website, the online harmonica lessons are delivered in real-time. Students have the choice to select their preferred instructor from the available profiles on the site. The instructors have been rated by past students, so it is easy to identify services that have been to a large extent satisfactory. 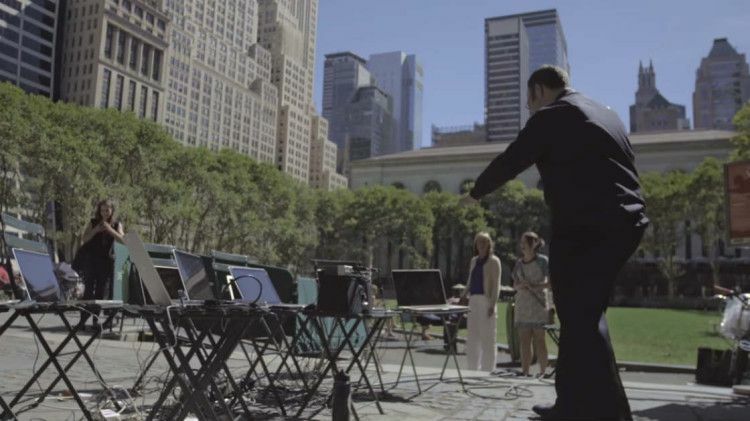 The live sessions are done with mobile devices or laptops. The convenience of this online learning system makes it possible for students to learn how to play the harmonica from any location. On the site, the lessons last from about thirty minutes to an hour. There are, however, shorter online lessons for students who may not have too much time to spend learning online. The website also offers additional assistance if none of the instructors online can meet your needs. Students can describe exactly what they need and send a customized request. They will be notified when the instructor that is best for them is located online. It is a user-friendly website, and the pricing is competitive. Preply allows you to find the best online harmonica teacher without stress. You can either browse the available instructors who have created their profiles on the site or perform special searches online. The website attracts notable harmonica teachers from all over the world. On Preply, you can find harmonica teachers from the UK, the United States, and many European countries such as Italy, Ukraine, and others where English is not the first language. The high patronage of this site can be attributed to the fact that you can find a harmonica teacher who speaks your native language fluently. The instructors have been scored through a rating system that helps students make a better decision when choosing their teacher. You can also take advantage of the free trial offer on the site. Book a free trial to have a first experience before buying the service. This way, you are sure the teacher will give you value for the money paid. 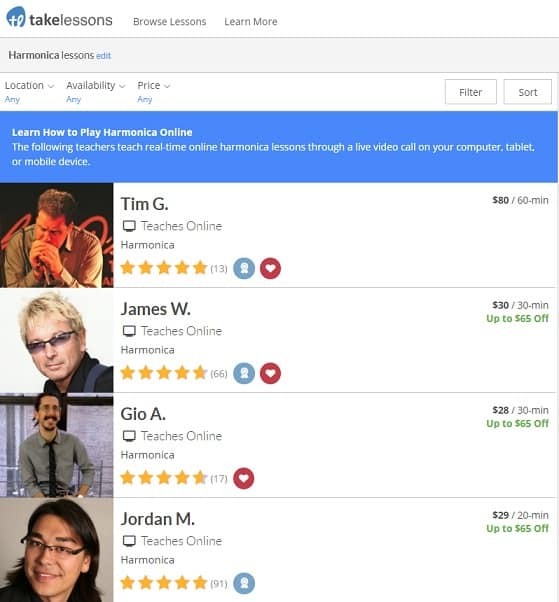 SuperProf is one of the premium online websites that features private online harmonica instructors. The website has a great design. A quick search reveals the online harmonica teachers who are ready to start sending you notes and videos for guidance. 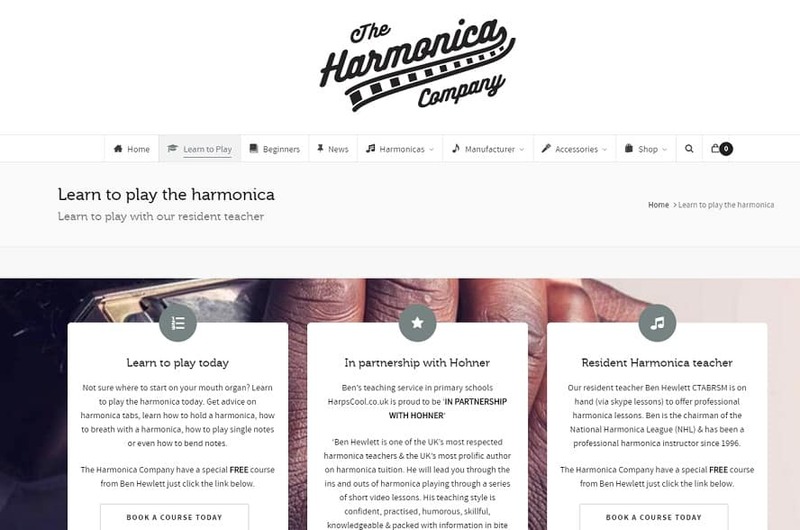 On the site, the teachers have created compelling profiles with descriptions that reveal the value they offer while helping you improve your ability to play the harmonica like a professional. The courses are both theoretical and practical. The harmonica lessons have been classified into different levels to help students start with the right online lessons. You will also be able to indicate your home country to improve the search for the most suitable private online teacher who can communicate effectively with you during the lectures. The online harmonica lessons on this website are designed for both children and adults. The process is quite simple and very flexible. You can choose a suitable schedule to accommodate your busy lifestyle. After selecting a tutor online, you can send a message which will be replied within 24-hours. Then, further plans can be made to proceed with the harmonica lectures. Many of the teachers start from the basics. However, intermediate learners can choose harmonica teachers who offer more advanced lectures on the website. Learning how to play the harmonica online will require some of your time. The lessons are mostly pre-recorded and ready to be sent across to the students. The live lessons done via video streaming websites such as Skype can be arranged accordingly in a convenient way. However, the online harmonica lessons may last between fifteen to thirty minutes every day. During this time, the students are gradually introduced to the harmonica and how it is played. 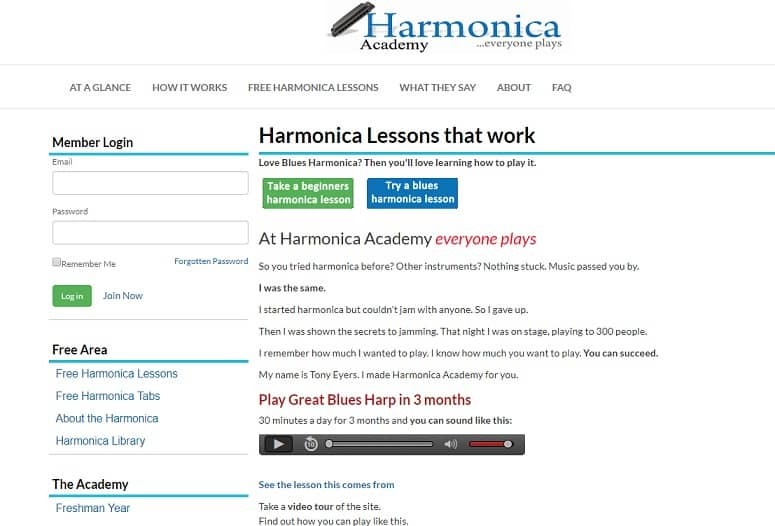 The harmonica online lessons can be for older adults or little children. The little harp produces nice melodies that can appeal to even the children. Experienced teachers online have found ways to help everyone who needs to learn how the harmonica is played achieve their dreams. The harmonica can be found and purchased at the regular music stores around or from online sources. Some of the websites that offer online harmonica lessons can sell and send high-quality harmonicas to their students. 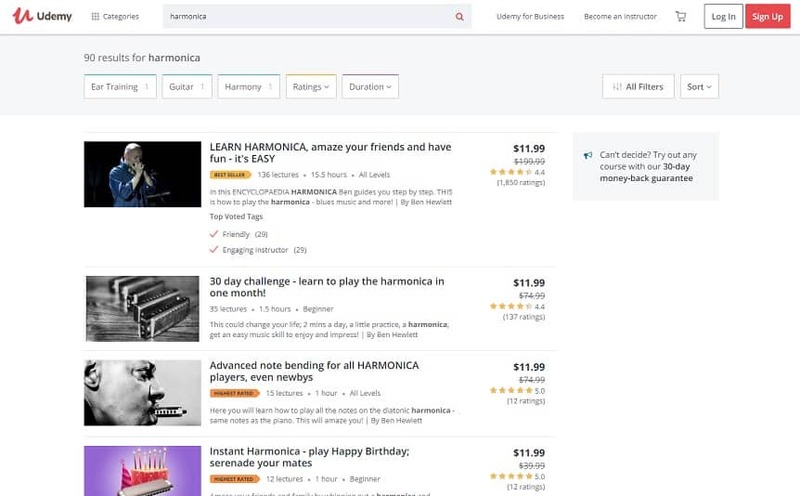 You can also find instructions on how to identify and buy the best harmonicas either online or from the physical stores. Many lessons start with teaching about the C key, the parts of the harmonica and the common terms used while learning such as breathing, tonguing, and drawing. The students are then introduced to more practical harmonica playing techniques such as learning the scales and jamming (which is a fun part). Students will also be encouraged to play the harmonica faster to match the songs. Advanced online harmonica lessons include changing chords, tonguing, learning the diatonic positions, and learning the riffs. Overall, the online harmonica lessons provide an interactive opportunity through which the students can ask questions and record their practice sessions which will be reviewed by the instructors. The students are also exposed to a vast online community of harmonica players where knowledge is freely shared.